Snapdragon 620, 618, 425 e 415: Cortex-A72 ed LTE Advanced per (quasi) tutti! Qualcomm cala un poker d’assi, andando ad ampliare la famiglia Snapdragon 600 e Snapdragon 400, con due nuovi processori ciascuna, che alzano decisamente il tiro sia della fascia media che di quella bassa. Snapdragon 620 e Snapdragon 618 adotteranno infatti il nuovo ARM Cortex-A72 a 64-bit ed il modem LTE X8, mentre Snapdragon 425 e Snapdragon 415 porteranno per la prima volta CPU octa-core nella famiglia 400, desinata ai dispositivi di fascia medio-bassa. Non solo, ma Snapdragon 425 adotterà sempre lo stesso modem LTE X8, senza dimenticarsi del comparto fotografico con doppio ISP, mentre Snapdragon 415 integrerà un modem LTE X5 con velocità in download fino a 150 Mbps. Snapdragon 415 dovrebbe essere disponibile sui primi dispositivi commerciali già nella prima metà del 2015, mentre Snapdragon 620, 618 e 425 dovrebbero arrivare entro fine anno, anticipando i tempi previsti per primi SoC basati su Cortex-A72, che attendevamo solo nel 2016. La strategia di Qualcomm Technologies è sempre stata quella di introdurre funzionalità premium inizialmente nella fase di progettazione della famiglia premium Snapdragon 800, e poi trasferendo le stesse capacità nei prodotti Snapdragon 600, 400 e 200, in modo da aiutare i nostri clienti a fornire esperienze eccellenti anche a tutti quegli utenti maggiormente attenti ai costi. Siamo entusiasti di annunciare i processori Snapdragon 620 e 618 che prevedono una grafica, una fotocamera, una tecnologia di acquisizione video in 4K e una connettività di nuova generazione, tutte funzionalità di livello premium che fino a questo momento trovavano spazio solo nei prodotti Snapdragon di classe 800. Entrambi i processori Snapdragon 620 e 618 sono dotati di supporto LTE X8 , connettività presente anche su Snapdragon 425, il primo della serie 400 a prevedere questa importante velocità. Qualcomm alza insomma di un gradino tutta la sua fascia di SoC per dispositivi mobili, rendendo dei prodotti praticamente premium i nuovi Snapdragon 620 e 618, ed elevando l’asticella anche sulla fascia bassa, con Snapdragon 425 e 415. Se i prezzi di vari processori rimarranno proporzionati al passato, avremo modelli sempre più performanti, al medesimo costo. SAN DIEGO — February 18, 2015 — Qualcomm Incorporated (NASDAQ: QCOM) today announced that its wholly-owned subsidiary, Qualcomm Technologies, Inc., has introduced four new Qualcomm® Snapdragon™ processors aimed at enhancing user experience and connectivity for high-performance and high-volume mobile devices. The new Snapdragon 620 and Snapdragon 618 processors are redefining the 600 tier with significantly higher levels of performance with integrated 64-bit ARM Cortex A-72 CPUs and the new X8 LTE modem. The new Snapdragon 425 and Snapdragon 415 processors both feature octa-core CPUs, a first for the 400 tier. The Snapdragon 425 doubles LTE download and upload speeds with the X8 LTE modem, another first in the 400 tier, as well as advanced camera features with dual ISPs and high-fidelity audio, while the Snapdragon 415 processor integrates X5 LTE, supporting download speeds of up to 150 Mbps. The Snapdragon 415 chipset is sampling now and expected to be in commercial devices in first half of 2015. The Snapdragon 620, 618 and 425 processors are expected to be in commercial devices in the second half of 2015. 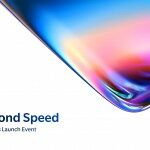 The Snapdragon 620 and 618 processors also include features previously only available in the Snapdragon 800 tier, including dual ISP camera, 4K video capture and playback, HEVC hardware encoding, richer gaming with next-generation Qualcomm® Adreno™ graphics and advanced Wi-Fi connectivity. All of the new processors are designed to enhance the consumer user experience and are available with the latest camera features, amazing download speeds and fast-charging with Qualcomm® QuickCharge™ 2.0 technology. 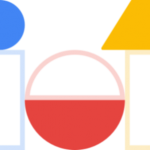 • Superior performance: Fast responsiveness, application loading, web browsing and file access are made possible with high-end 64-bit Cortex-A72 CPUs. Snapdragon 620 combines 64-bit quad-core ARM Cortex-A72 CPUs and Cortex-A53 cores; Snapdragon 618 is configured with two ARM Cortex-A72 cores paired with quad Cortex-A53 CPUs. Dual channel LPDDR3 memory increases the memory bandwidth to seamlessly run intensive applications such as 4K video. • Realistic graphics: The next-generation Qualcomm® Adreno™ GPU is designed so users can experience even more realistic scenes and graphics for a greatly enhanced mobile gaming experience at lower power. • Exceptional camera: High quality camera with dual Image Signal Processors (ISP) supporting twin 13MP cameras, gyro image stabilization, enhanced autofocus and local tone mapping to improve image quality beyond HDR. • Advanced multimedia: 4K video capture and playback with HEVC (H.265) for the first time in the 600 tier, along with support for Quad HD (2K) displays and wireless streaming full HD. • Continual, low power sensors: Dedicated Qualcomm® Hexagon™ DSP sensor engine supports real-time, always-on use cases for motion, location, health and environmental sensing, and minimizes the need for an external sensor hub, supporting high performance at much lower power. • Exceptional Audio Experience: Qualcomm Immersive Audio allows consumers to enjoy movies and music with theater-like sound, first-person games with unprecedented realism and fully immersive audio experience without the need for headphones. Also supports High-Fidelity 192kHz/24bit music playback for the most demanding audiophiles and music aficionados. Qualcomm Technologies also introduced the Snapdragon 425 with enhanced X8 LTE connectivity and premium camera, audio and multimedia features. Featuring integrated 4G LTE Cat 7 with downlink speeds of up to 300 Mbps and uplink speeds of up to 100 Mbps, Snapdragon 425 is designed to support greater network speeds, stability and coverage in the high-volume segment. Together with the Qualcomm RF360™ Front End Solution, the chipset supports all major modes and frequency bands across the globe, including 5-mode, as well as up-and-coming requirements such as dual SIM, LTE Broadcast and VoLTE support. With the Adreno 405 GPU, eight 64-bit ARM Cortex-A53 CPUs and a superior video engine with support for Full HD 1080p playback and hardware HEVC decode, as well as premium multimedia features such as dual-ISP camera and high-fidelity audio, the Snapdragon 425 is positioned to be a leader in the high-volume segment. 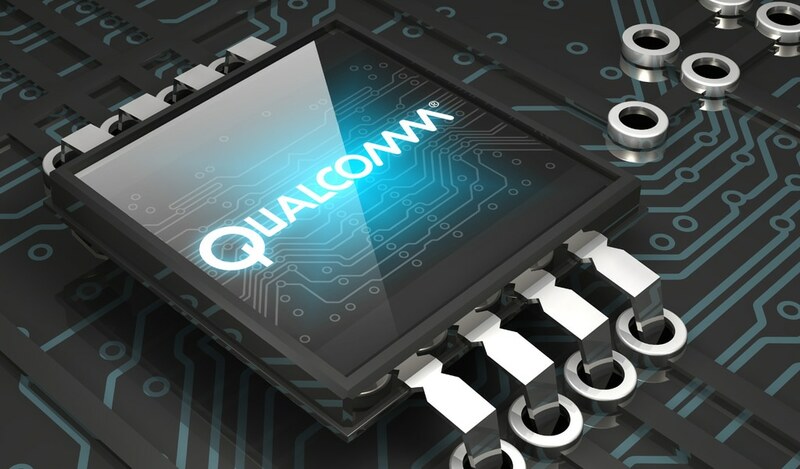 Qualcomm Technologies anticipates releasing the Qualcomm Reference Design (QRD) versions of the Snapdragon 620, 618, 425 and 415 processors, with support for Qualcomm RF360 Front End Solution. The QRD program offers Qualcomm Technologies’ leading technical innovation, easy customization options, the Qualcomm® Global Pass which features regional software packages, modem configurations, testing and acceptance readiness for regional operator requirements, and access to a broad ecosystem of hardware component vendors and software application developers. Under the QRD program, customers can rapidly deliver differentiated smartphones to value-conscious consumers. There have been more than 1,080 public QRD-based product launches in 21 countries. Qualcomm Technologies continues to deliver advanced, high-speed connectivity solutions, through its discrete modem product line, for a wide range of applications, from smartphones and embedded computing devices to mobile routers and automotive telematics. Its most advanced modem chipset, formerly known as Gobi 9×45, has transitioned to the Snapdragon modem brand, and features the ultimate in mobile connectivity – X12 LTE – with up to 450 and 100 Mbps download/upload speeds respectively.